Our company shares glorious credentials with the successful Manufacturers, Importers, Exporters and Suppliers of Data Logger. The Data Loggers we make available are manufactured in adherence with international quality standards. In order to meet the bulk and urgent requirements of the buyers,. we maintain a large stock of these in our state-of-the-art warehouse. One can obtain these at market-leading rates from us. Smart Data Logger serves to wide variety of applications. Robust, compact, stand alone, low power datalogger featuring 18 bit resolution, extensive communications capabilities and built-in signal conditioning and display. Supports 5-15 Analog Channels.Analog and digital channels, high-speed counter inputs, phase encoder inputs and smart serial sensor channels. Used to monitor Temperature, voltage, current, 4-20mA loops, resistance, bridges, strain gauges,frequency, digital & serial parameters. 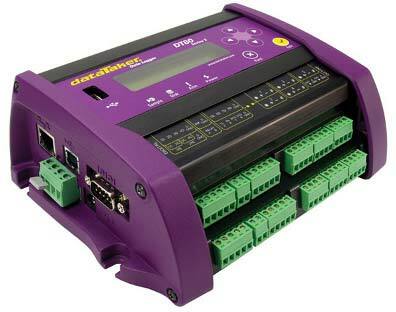 Datalogger facilitates multiple SDI-12 sensor networks, Modbus for SCADA systems, FTP and Web interface. © Copyright 2012. Aimil Ltd.